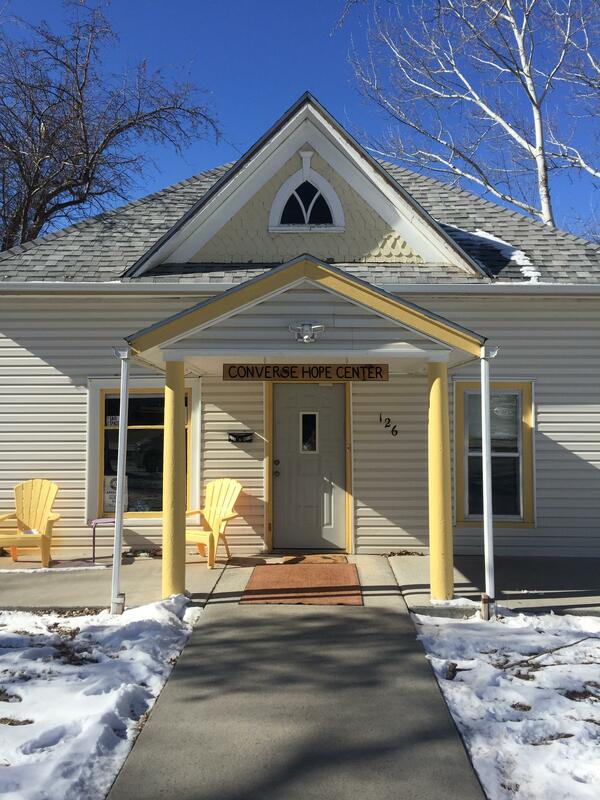 The Converse Hope Center helped 125 victims in 2018 and they expect more as the boom progresses. This story is part of a two-part series on the effects of the Converse County energy boom on housing in Douglas. I knock on the door of an apartment in the one and only income-restricted apartment complex in Douglas. 29-year-old Elise shows me in. Petite with long dark hair and a friendly smile, she gives me a tour of the small apartment she shares with her two children. We're not using her last name to protect her from retaliation. I notice a sign on the living room wall that says, "Home Sweet Home," and for Elise, a home has never been so sweet as this one. About eighteen months ago, Elise left an abusive relationship with her children's father. "He began to drink quite heavily all the time and that was just something that wasn't okay for the kids. They didn't feel comfortable," says Elise. But in some ways, leaving him was even scarier than staying. "One of the scariest parts was, 'am I going to be able to do it, and how am I going to take care of my kids by myself? Are we going to be okay?'" she wondered. "And that's always kind of the thing that held me back from [leaving]." But, secretly, Elise started packing into hidden boxes. She also put her name on a two-month waiting list for a low-income apartment. In Douglas, where studio apartments can rent for over $1000, she knew it was the only thing she could afford. By day, she went to nursing school and by night, worked as a janitor making only $900 dollars a month. Then one day, the violence at home got to be too much. So, while he was at work, "I went and borrowed money, and I went and got the U-Haul and I was able to move out in about six hours by myself." The housing unit only charged her $50 a month at first. Now, Elise is a full-time nurse, which means her rent has been inclemently increasing as she earned more. She now pays $725 in rent and is saving for a down payment to buy a house. Lisa Thalken, director of the Converse Hope Center, a domestic violence and sexual assault advocacy organization, says Elise is one of the lucky ones since the waiting list for the income-restricted housing units is long. "At the tail end of the last boom, we were seeing that a lot," says Thalken, "where these people had come out with their significant others and then the abuse happens. And they had no one to turn to and they were five states away from their home. And so, a lot of times, we had to take on the expense of getting them a bus or airfare back to wherever they were from." There's only one apartment complex that's income restricted in Douglas. Rent is on a sliding scale, a good option for survivors who often escape with little or no income. Her agency helped 125 victims last year, an increase from 100 the year before. But they only have emergency shelter for two families, and after that, they pay for hotel rooms. "You drive by the hotels and there's all these trucks parked in front of it. You know, they're full with oilfield workers," Thalken says. "But if there's no hotel rooms, where do we put them?" Thalken says oil and gas companies should consider supporting social services like hers that are impacted by their presence in the community. Energy workers compete for whatever low-income housing is available, but she says that housing means something very different to her clients. "It's more than just shelter, it's your safe space," Thalken explains. "To be able to start over and build some safe place for you and your children is a huge part of their healing. To be able to feel like, when you leave a situation like that, that this is mine, and it's no one else's, I haven't depended on someone else to build this security for me, is very empowering." I climb in a truck with the Douglas community development director Clara Chaffin and we take a tour to look at the city's housing stock. We drive by some construction sites in an upscale part of town: sprawling single-family homes worth $400,000-$500,000. But only ten of these larger homes have been permitted and we see no multifamily construction as we tour the neighborhoods. Soon, we drive by a trailer park. "I kind of keep an eye on it," says Chaffin, "and find that these trailers in this particular park are renting from everywhere between $750 to $1200 a month." "Wow," I say, "they look quite old." "Yeah, for a trailer that might be from the 50's," Chaffin says. Then we drive past some RV parks. "You'll see over here," says Chaffin. "Kind of down that hill, you'll see that little RV park? It's full." Full of oilfield workers, she says. But we see very few smaller homes or apartment buildings for a struggling mom with kids and pets. Chaffin says Douglas has a hard time attracting new families because of this lack of affordable housing, even though a recent state report shows there's demand for hundreds more in Converse County. In fact, housing costs here are the second highest in the state after Teton County. "But then you've got the developer going, 'well, there's nobody here that's going to take the housing so we're not going to build it.' So, it's a chicken and egg kind of a deal." Chaffin has hope that a housing study the city is currently working on will convince more developers that low-income housing will always stay filled. Director Lisa Thalken says even the simplest housing situation can be healing for survivors who finally have a safe space to call home. As the boom hits, sending housing costs out of her reach, single mom Elise has no plans to leave. She now commutes daily to Casper for work, but Douglas is where all her family lives. "We'll be okay," she says. "We're going to have a home where we can go home and lock the door and watch TV and have peace and quiet and safety." But with more oil wells expected in coming months, her dream of a house of her own may have to wait awhile. It's freezing outside as Terry Short smokes a cigarette under a hotel's awning near downtown Douglas. He's wearing a Dallas Cowboys sweatshirt, his hometown team. "For the most part it's as nice little sleepy town that you know generally doesn't have a whole lot of chaos," Short said. Short is an oil field worker for a company called Gunslinger. Today is his day off, but normally he would be out in the field doing inspections or survey work. Short is far from the only worker of his kind in the area. He said folks get a daily per diem from companies to live on. The housing strategies are diverse and often focused on saving. Yellowstone National Park may add more seasonal housing for their employees and is seeking public comment on a proposal. This comes after Yellowstone Lodges built five new lodging facilities in Canyon Village, which increased the guest capacity to about 2,200 people per night. The Mountain West's population boom is putting a squeeze on affordable housing. What's being done address the issue? 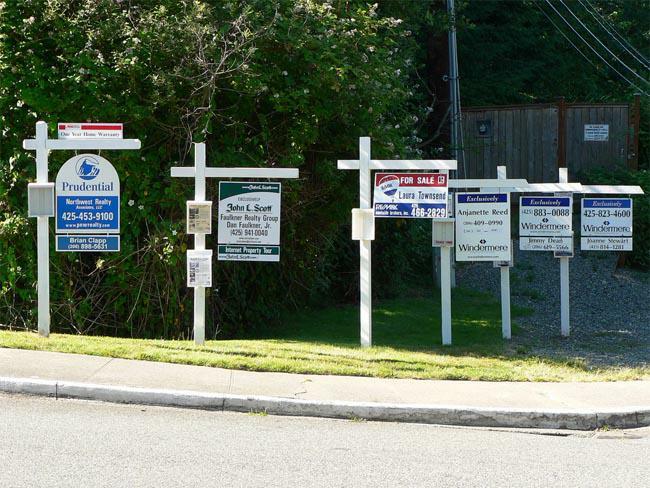 Our region is home to some of the hottest housing markets in the country but that trend may slowing down.